The depth of talent working at Cheesecake Factory is almost as great and diversified as the menu. With job opportunities available for you to join these ranks either in corporate locations or in your local store, there is no better time than now to submit your Cheesecake Factory application. Follow the link below to find out how to apply for Cheesecake Factory online. The first Cheesecake Factory, as the company is known today, was opened by David Overton back in 1978. He was the son of Evelyn and Oscar, who started the ball rolling by baking cheesecakes for restaurants throughout California. Their commitment to quality and an innovative spirit is still strong in the foundations of the company. Employees can benefit from this too, finding that their own creativity and entrepreneurial ideas are inspired and actively encouraged. The company is regarded as an engaging and positive workplace, with plenty of room for keen staff members to grow and thrive. The company currently operates over 200 restaurants around the world. This now global concern is traded on the NASDAQ under the ticker symbol ‘CAKE’. Other successful brand names included in the franchise are Grand Lux Café and RockSugar Pan Asian Kitchen. Working at Cheesecake Factory is enjoyable, engaging and challenging. In-store positions are perfect for those who enjoy interacting with the local community and are looking to find an exciting route into the restaurant service industry. The company believes that employees are the ingredients in the recipe for success. Collaboration and fun are the principles behind the working atmosphere in the corporate division, which draws applications from creative talent all over the world. Generally, you will need to be at least 18 years of age before you can apply for jobs at Cheesecake Factory. Your Cheesecake factory may be considered if you are younger, but only for entry level positions and only if you have relevant experience to justify your hiring. The company is very generous in the employment benefits that it has on offer. Hourly paid restaurant staff can look forward to health insurance, paid time off and substantial employee discount. Management will also enjoy perks such as contributions to a 401(k) plan, wellness programs and a package of insurances. Typical restaurant hours are from 11:30am to 11pm, staying open a little later on a Friday and Saturday night. When thinking about applying for Cheesecake Factory jobs, consider that you will be working shifts within these hours, so you will have to be flexible and available when required. Line Cook – If you love serving great food and have a passion for perfection, this is the role for you. You will have excellent attention for detail and will take pride in preparing quality food that guests will love. Base pay is usually in the region of $11 per hour. Cashier – You will be polite and accurate in processing payment and serving customers. You’re helpful, friendly and professional manner will play a key part in promoting the positive in-store atmosphere that Cheesecake Factory is known for. Pay range is between $8 and $11 per hour. Prep Cook – You duties will include assisting cooks with the final preparation of food before it is ready to be served. Your eye for detail ensures that only the finest quality products are put before the consumer, and you take pride in your work. Salary starts in the region of $11 per hour. Server – Serving customers is your passion and your profession. You know the value of good customer service and how important it is to ensure that customers are happy, relaxed, and likely to want to revisit your store. Servers will expect hourly pay of around $5 per hour, but there is a great opportunity to supplement this with generous tips by providing a quality service. What is your main motivator? Employers always have an eye for resumes from people looking pursuing a developing career. Your motivators should be an aspiration for learning and the feeling of personal progression towards success. What is your proudest memory? Your answer to this question will say a lot about what you value as a person. Think of a time you felt you have really learned something new or beat everyone expectations through hard-work. Show that you value seeing results from your efforts and labour. When was the last time you’ve felt that you failed? There is nothing to feel shy about here – the interviewer is just keen to know that you are able to assess setbacks and learn from mistakes. You will be expected to be able to continually improve your performance if you are to stand out as a candidate for internal progression. What would you say are your weaknesses? Try to turn any weaknesses into positive attributes. Good examples are being too much of a perfectionist, or thinking about the little things too much. Someone who has a couple of identified weaknesses is preferred to someone who doesn’t yet know what they are. What do you think you would enjoy about this role? Cheesecake Factory careers come with responsibilities for service and quality. You should be someone who enjoys going above and beyond to help other people. The Cheesecake Factory jobs online website can be used to view a job description or to submit a direct application. 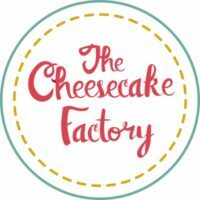 You won’t find a ‘download application form’ option to generate a printable application for Cheesecake Factory – you will need to register on the website as a potential candidate, before filling out the online application. Make sure that all details are correct – especially your contact details. You will be expected to prove and qualifications or demonstrate any skills listed, so be honest in what information you provide. Make sure that you also include any specific supplementary paperwork that is requested to be submitted with your application. Hopefully your free application will lead to telephone call inviting you to an interview. This might occur days or weeks after your apply online – depending on the availability of suitable vacancies in your area. The interview itself tends to be short, with a brief assessment of your skills coming before a casual period of questioning. Research as much about the company as you possibly can. Most importantly, make sure that you fully understand the company’s core values and ethos, anticipating that you could be asked some questions of the history or the founders. You won’t have a printable application form for reference, so make sure you are concise in answering any questions about your past experience.